Refugio Beach Oil Spill – Neptune 911! The U.S. Coast Guard captain overseeing cleanup of oil spilled from a pipeline rupture that closed two California state beaches and fouled offshore waters near Santa Barbara said on Thursday it may take months to restore the area to its natural condition. Up to 2,500 barrels (105,000 gallons) of crude petroleum, according to latest estimates, gushed onto San Refugio State Beach and into the Pacific about 20 miles (32 km) west of Santa Barbara on Tuesday when an underground pipeline that runs along the coastal highway burst. As much as a fifth of the amount was believed to have reached the ocean, leaving oil slicks that stretched for more than 9 miles (15 km) along the coast. Environmental activists and local officials said it could turn out to be the largest oil spill in 46 years to hit the ecologically sensitive but energy-rich Santa Barbara shoreline, about 125 miles (200 km) northwest of Los Angeles. The spill zone lies at the edge of a national marine sanctuary and state-designated underwater preserve teeming with whales, dolphins, sea lions, some 60 species of sea birds and more than 500 species of fish. 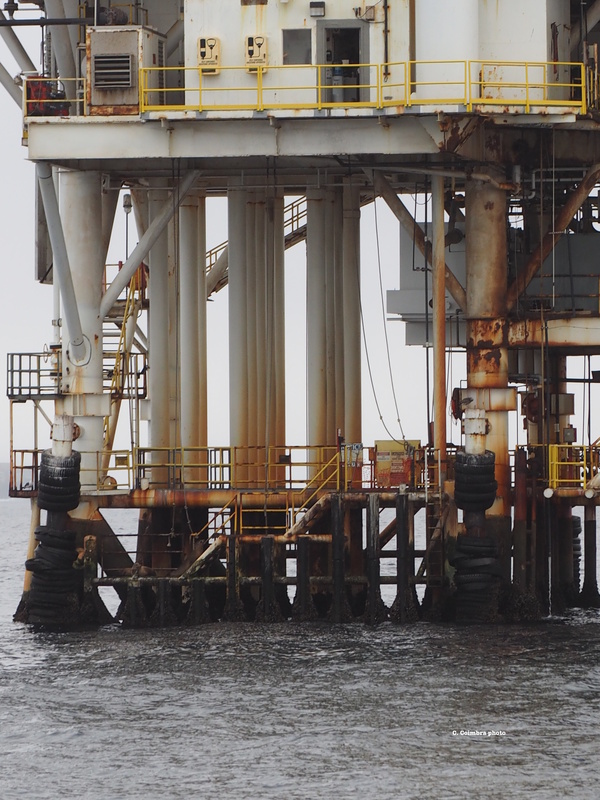 The surrounding waters are shared by nearly two dozen offshore oil platforms. The cleanup has been painstaking and arduous. Hundreds of contractors garbed head to toe in hazardous-materials suits worked in shifts around the clock, shoveling blobs of oil from the sand, raking up tar balls and excavating petroleum-soaked soil from the heaviest-hit areas. Meanwhile, cleanup vessels plied the ocean to corral the slicks with floating booms and skim oil from the surface. Fortunately, the spill was halted relatively soon after it began. The Texas-based company that owns and operates the pipeline, Plains All American Pipeline, said it shut the flow about 30 minutes after pressure irregularities were detected. By then, however, a torrent of oil had streamed down a canyon, under a culvert and out onto the once-pristine Refugio Beach, blackening a 4-mile (6 km) stretch of sand and rocks. By Thursday, thick globules of tar also littered El Capitan State Beach a few miles to the east, and the air at both sites was heavy with fumes that smelled like fresh asphalt. Park officials said both beaches, popular seaside camping destinations, would remain closed to the public through the Memorial Day holiday weekend and into next week. Kira Redmond, head of conservation organization Santa Barbara Channelkeeper, said her group found another stretch of shoreline between Refugio and El Capitan beaches “covered in oil” on Wednesday. If the pipeline company’s worst-case estimate of its oil release holds up, it would mark the biggest spill in the region since a 1969 offshore oil well blowout that dumped 80,000 to 100,000 barrels of crude petroleum into the Santa Barbara Channel. That disaster, which dwarfs Tuesday’s accident, killed thousands of sea birds and other wildlife and helped spark the modern U.S. environmental movement. Wildlife teams were immediately dispatched to rescue any animals injured by the latest spill and to protect sensitive areas for shore birds. The toll on wildlife was not yet apparent, but photos showed oil-covered pelicans and other sea life washed ashore. State fish and game officials said five oil-covered pelicans and young sea lion had been rescued. The cause of the rupture remained under investigation, and Plains said it might be days before the crippled pipe could be examined. The company said it had inspected the pipeline internally a few weeks ago, but results were not yet back. One of the nation’s largest pipeline companies, Plains defended its safety record as it came under fire for what environmental activists called an excessive number of safety and maintenance infractions over the past nine years. Federal records show 20 enforcement actions initiated against the company by the U.S. Transportation Department since 2006 for such issues as pipeline corrosion and maintenance problems. The Los Angeles Times reported Plains has accumulated 175 federal safety and maintenance infractions since 2006. Plains spokesman Patrick Hodgins said those figures include many relatively minor lapses the company reported even when it was not required to do so. “Safety is not just a priority, but it’s a core value at Plains,” he told a news conference.